There are many different opinions about malpractice insurance and whether it is important for nurses to carry it. Some nurses believe they will never be sued because they are not the doctor in charge of the patient’s case. 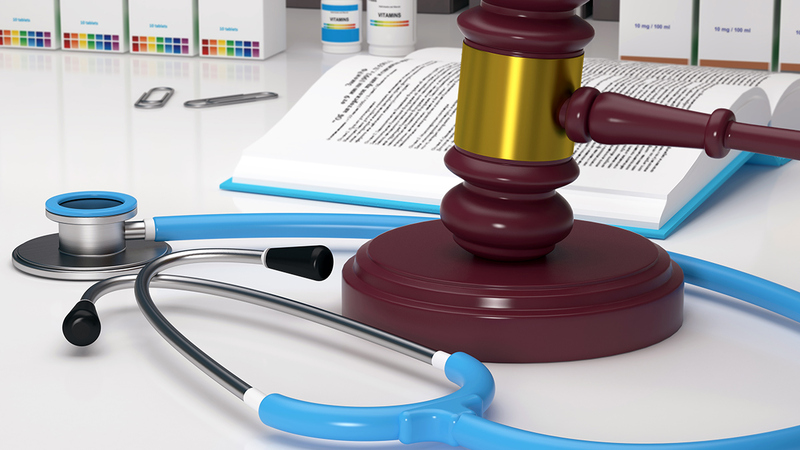 Others believe that they are covered by their healthcare organization’s malpractice policy. Yet others believe that it is not important and that even if an adverse event occurs, they will be safe from lawsuits. Certainly, it's each nurse’s personal decision whether to carry malpractice insurance or not but each of these beliefs carry some degree of personal risk for nurses. Here are the facts you need to make an informed decision. Allnurses.com says that applies directly to nurses as well saying, “No matter how educated, confident, and careful the nurse is, unintentional mistakes can and will happen. Accidents will occur. Unfortunately, willful neglect can be an issue. Injury and death very often are the results of mistakes, accidents, and neglect.” Their conclusion is that malpractice insurance is the “nurse’s advocate as it provides essential legal and financial security”. Now to the various beliefs regarding malpractice insurance and whether it is necessary for protection. Belief #1: I am not the doctor; therefore, I will not be sued in the event that a patient is injured or dies. Belief #2: I don’t need to carry malpractice insurance because my hospital (healthcare organization) covers me. Allnurses.com is even more blunt in their assessment of the effectiveness of an employer’s malpractice coverage saying, “Remember: your employer's policy is created to fit their specific needs and protects them first. You may even be told by your employer that you do not need your own policy. What they do not tell you is that they want you to be represented by their attorneys. They do not want "outside" representation for they know that their best interests will not be first and foremost. Another important point is that the employer’s malpractice coverage may include more employees than just one nurse. That greatly diminishes the protection. What is the best malpractice insurance? Occurrence-based: It covers any incident occurring while the policy is in effect even if the policy is now canceled and/or you have retired. However, if the policy is no longer active, it will cover claims for incidents that occurred while the policy was in effect, only if the issuing insurance company is still in business. Claims-made: It covers any incident only while the policy is in effect. That means you must continue to pay for the policy to cover any future claims. Registerednursing.org recommends carrying both types of insurance simultaneously. They also encourage nurses to be very being clear about the details of the coverage because some policies do not cover legal fees. In some policies legal fees are in addition to the limits of liability covered by the policy. In that case, the individual would be responsible for all legal fees which can cost hundreds of thousands of dollars. License protection. Should discipline issues be brought before the Board of Nursing, this part of the policy will pay for legal fees and other costs of defending one’s license. You can review malpractice insurance at the allnurses.com site and the Nurses Service Organization, among others. Your professional nursing association may offer malpractice insurance as well. The bottom line is that you worked hard to become a nurse. Protect yourself, your livelihood, and your career by purchasing malpractice insurance that will protect you now and in the future.